Clark St Coffee sources and roasts unique, high quality and sustainable coffees from around the world, embracing the seasonality of specialty coffee. 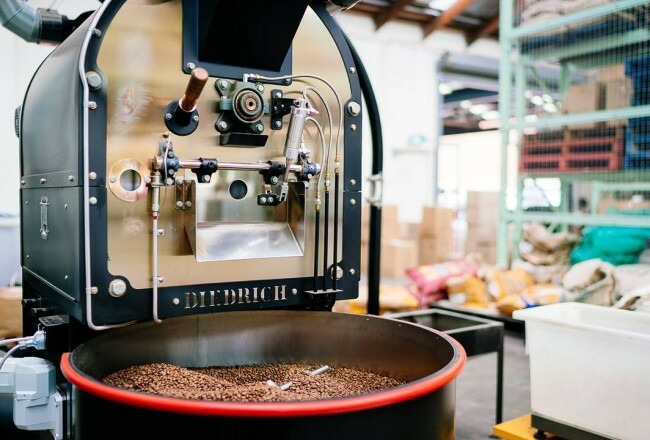 Clark St is a Melbourne roaster with a global focus, sourcing beans from countries including Brazil, Colombia, Ethiopia, Costa Rica, Nicaragua, Guatemala, El Salvador, and Kenya. Others include Honduras, Burundi, Rwanda, Bolivia and Peru. Clark St travels to the majority of these countries to develop relationships with producers and import partners who are working with producers to improve quality and the sustainability of specialty coffee production. Maybe – if you’re over a certain age. Back in the early 2000s they were all the rage, allowing users to come in, use a computer and maybe grab a coffee at the same time. That’s where Tom Ervin-Ward – who is now the General Manager at Clark St Coffee – got his start. It’s a long way to managing a successful roaster, but in 2002 he moved to attend university in the city and started taking part-time work in between studies at various cafes. Clark St began in 2010, when its founder – Melissa Floreani – wanted to roast and sell speciality coffee in a more sustainable way. In fact, sustainability is a core part of the Clark St brand. “Continued, long-term production of high quality coffee can only be achieved through an environmentally, socially and economically conscious approach,” says Tom. 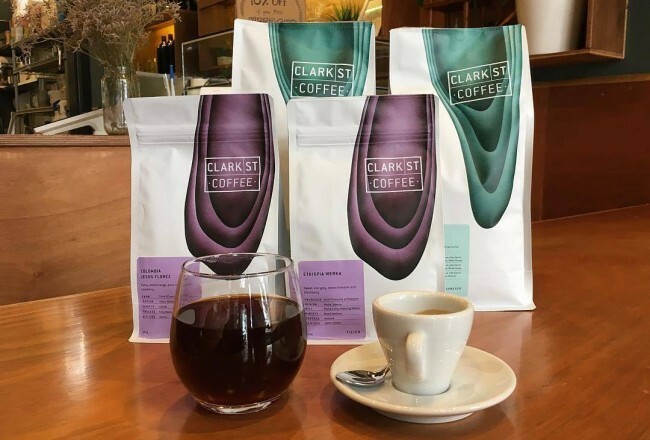 Clark St walks the talk – the company travels to the countries where it sources beans including Brazil, Colombia, Ethiopia, Costa Rica, Nicaragua, Guatemala, El Salvador and Kenya. “We travel to the majority of these countries to develop relationships with producers and import partners who are working with producers to improve quality and the sustainability of specialty coffee production,” says Tom. It’s a step more than many roasters take, but it harks back to Clark St’s promise – to create quality coffee through long-term, direct relationship sourcing. 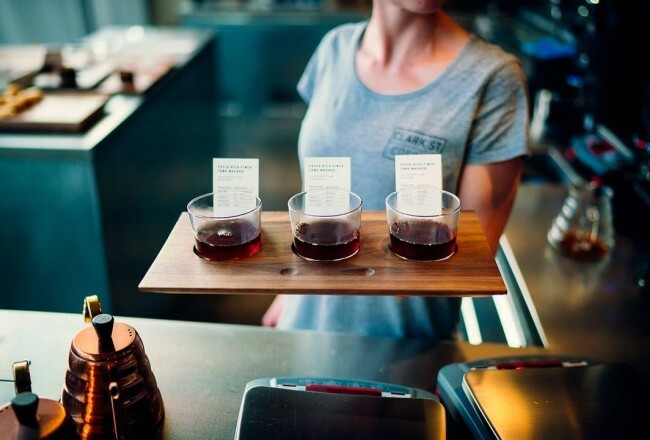 That means the company has full traceability on all the coffees it buys. “Producers are paid based on the quality of their coffee which provides certainty and incentive to grow, process and invest in sustainable, quality focused coffee production” says Tom. 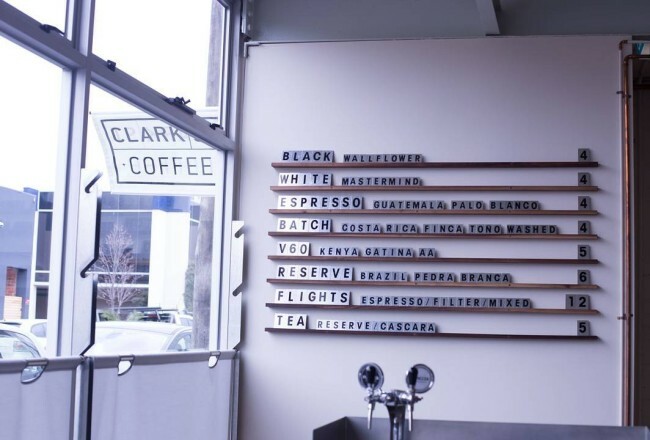 Clark St branded coffee has a focus on seasonality: the company only buys what’s in season, which means throughout any given year, Clark St Coffee offers single origins from more than 12 producing countries and three seasonal espressos. With a public bar available for tasting, Tom says the Clark St team hopes it can provide access to a roastery providing Melbourne with high quality coffee. “I have owned and run my own café businesses and I understand the integral part a wholesale coffee partner plays,” says Tom. Seasonal Espresso. Notes of Praline, Hazelnut, Raspbeery. Sweet, full bodied and smooth. Bold as a black coffee, rich and satisfying with milk.